Get a free Blomin Onion with ny purchase today 10/21/13. All Bloomin Monday Long! 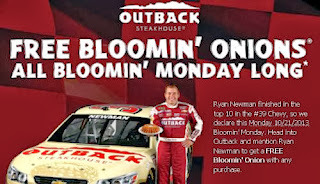 Click the link below to find your nearest Outback to get your free Bloomin Onion.